- NPR online. I may have missed most of the election coverage, but at least I got to hear Obama announce his National Security Team. And thank god for World Café. - iTunes, purveyor of Gossip Girl, 30 Rock, and SNL. - Any kind of hot tea, particularly Lady Gray, green, and à la menthe. 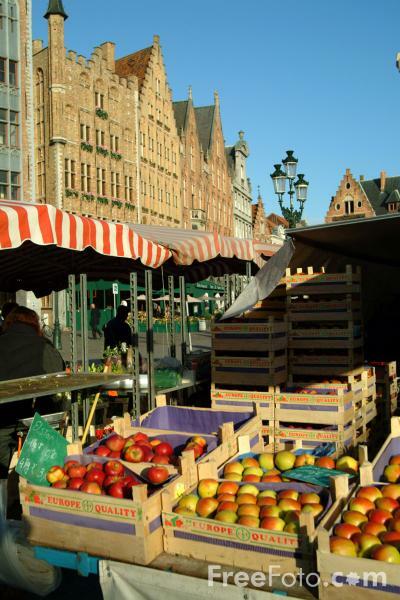 - Daily open-air markets (Monday: Place van Meenen; Wednesday: Place du Châtelain; Sunday: Gare du Midi; every other day: Parvis de St. Gilles). Nothing does the trick for me quite like just going to the market. But I do have to remember to look up the names of my grocery items in both French and Dutch (e.g., celery = céleri = selderie).